Part of the Crown complex and away from the food court, a meal at Brubakers buys you the right to dine on the river bank without the expensive restaurant price tags and without the relentless pestering from waiting staff attempting to second guess your every need. Light lunches start at $4.50 for a toasted sandwich. 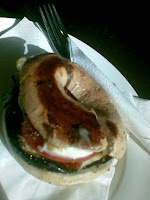 Salmon or Vegetarian bagels (pictured) are available for $5.50. Other mains for lunch or dinner range from $6.50 for a spinach and ricotta cannelloni, up to $12.50 for a steak sandwich. 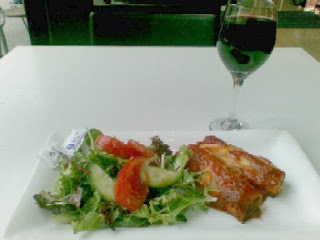 For me the cannelloni served with a salad and a glass of house red wine ($5.00) made for a pleasant meal but fails to satisfy even a moderate hunger at dinner time. A dessert from behind the counter for $4.95 fills the gap. There you will find an assortment of tarts, slices and other sweets including lemon meringue, cheese cake and tiramisu. Dessert is washed down with a coffee for $3.50. 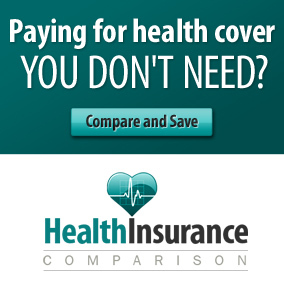 In total the 2 course meal with wine and coffee was $19.95. There is a kids menu with the price set at $7.50 for a meal with a soft drink. It offers the usual assortment of beige coloured foods which we insist on feeding our kids when dinging out. Brubakers is licensed. Beer starts at $6.50 for a Heineken. Red or white house wine is $5 per glass. Criticism: Don't wear a dark suit. The birds have made numerous white coloured deposits over the chairs, the tables and even the TV's. Open 7 days breakfast, lunch and dinner. (Note Sunday opening later at 10am).